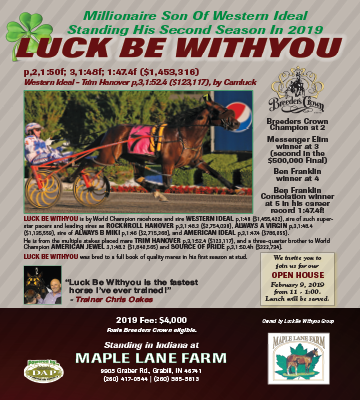 On October 6, the best Indiana-sired and –bred Standardbreds will be crowned for the Indiana-Sired Fair Circuit Series 2 Championships in Goshen, Indiana. 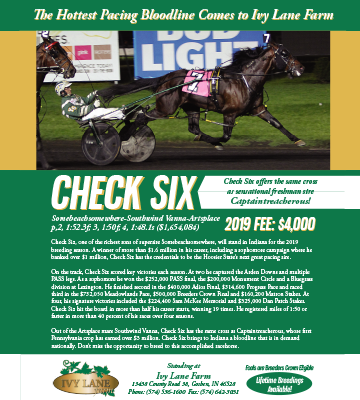 The Indiana-Sired Fair Circuit is for Indiana-Sired and Bred Standardbred horses, meaning they were foaled (born) in Indiana and their sires stand in the state of Indiana. 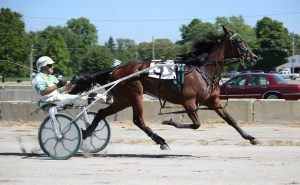 Races are held for 2- and 3-year-old pacers and trotters, and horses are nominated by their owners each year they race. After a challenging and very competitive first series, which crowned the Indiana State Fair Circuit Champions during the Indiana State Fair, the second series began on August 24 in Converse, Indiana, giving six additional opportunities for the racehorses to earn their way into the finals in Goshen. Eight championship races will be on display starting at 11 a.m. EDT, each awarding a purse of $10,000. 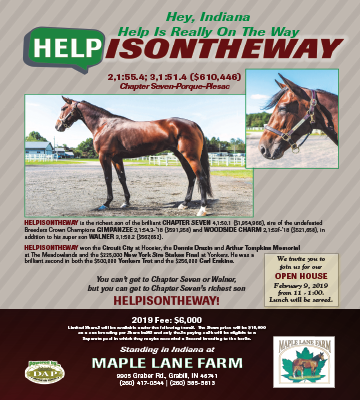 Horses such as 3-year-old filly Credit Fraud (Jailhouse Jesse – Classic Credit), who set the track record for all ages trotting a 1:59.2 at Clinton County in September will be competing for the top prize. 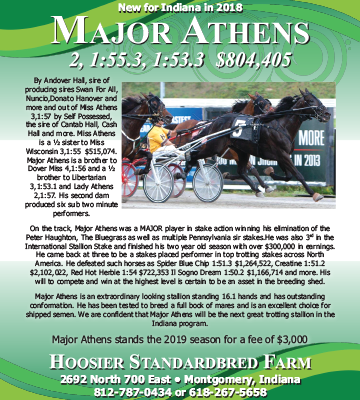 “The fair program is a vital piece of the racing program in Indiana because of the opportunity it gives trainers to develop young horses (2- and 3-years-old) into racehorses,” says Dwayne Rhule, Chairman of the Indiana Standardbred Advisory Board. 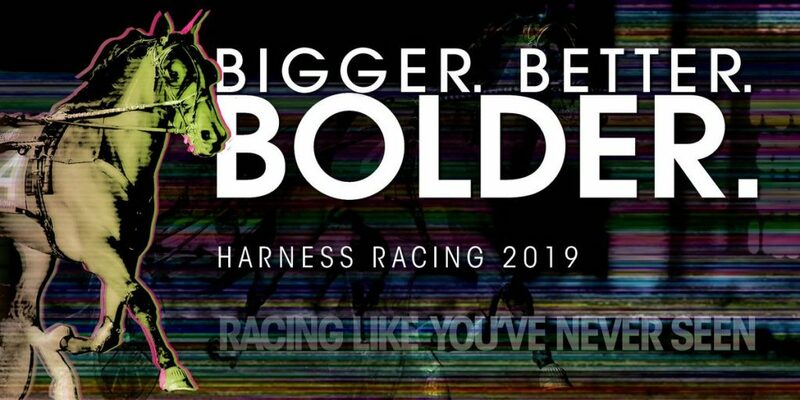 For more information on the Indiana Sired Fair Circuit or harness racing in Indiana, reach out to the IHRC at 317-232-2897 or by emailing Standardbred@hrc.in.gov.